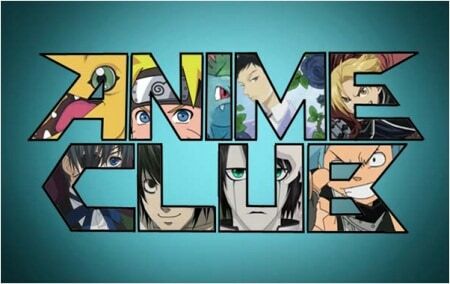 We love anime, for not only the unconstrained world of imagination with beautiful pictures, but also the massive amount of wonderful anime songs. Download anime songs, soundtracks, openings or endings as the ringtone of your phones or need anime songs download free to MP3, WMA, AC3 etc to enjoy on the go? Great choice. But a quick view of the forum indicates that many users are puzzled about where and how to get Japanese anime music download for free. 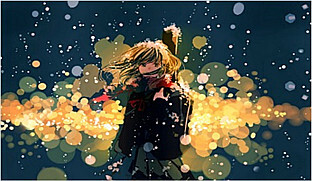 If so, this is the right place to free download anime music, OST with high quality 320kbps/128 kbps etc. For Japanese anime soundtrack, OST, OP/ED download, the recommended way is anime theme songs download with a professional anime soundtrack downloader. 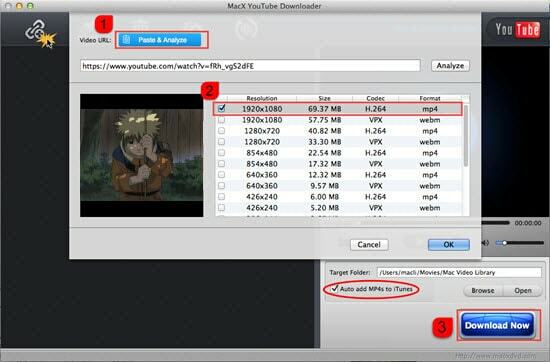 Here MacX YouTube Downloader will be a worth-trying helper. With this free downloader for Japanese anime songs, users can easily and freely download any favorite songs, music videos, ost mp3 of anime series or movies from SoundCloud, Grooveshark, Vimeo, Vevo, YouTube, Pandora and 300 more music video sites. The best part is, while a very few anime has English-dubbed songs, or have their songs translated into English, users can get some really good fan-made English anime OP/ED songs download as well as HD anime with English subtitles download from sites like YouTube, Facebook etc with this tool. It is 100% free, no adware, spyware or malware. Before we start to download anime MP3 music, free download this Japanese anime songs downloader and launch it. 1 Click "+URL", copy and paste the URL of the anime songs and click "analyze". Note that in addition to anime songs/music/mp3, you can also free download anime series, full movies, shows in UHD/HD with this downloader. 2 Choose output settings like format, codec and size for the downloaded anime songs or music videos. 3 Click "Browse" to set the folder to save the downloaded anime music and just hit "Download Now" button to start anime soundtrack/ost/mp3 songs download. You can accomplish the anime mp3 download task within 30 seconds with original quality reserved. Well, if you inadvertently discover an amazing piece of soundtrack in an anime series or movie, but don't know the name of the OST or if you want to free HD/UHD download anime music videos, anime series, shows, movies to mp3, iPhone ringtone, ac3, wma etc, then the higher version MacX Video Converter Pro provides a perfect solution through anime movies/videos/anime music videos download directly to MP3, MP4, AAC, AC3, WMA, iPhone Ringtone and more, or to iPhone X/8/7/6s/Plus, iPad Pro/Air 2/mini 4, Android devices. Anime songs, including the anime opening, ending, OST soundtracks, convey the theme of the whole picture, or express the happiness, sadness or other emotions of the characters in the anime. Some anime songs are really heart-touching. 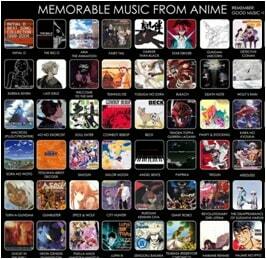 Here we also list top best anime theme songs to add in the download list for every anime fan. Many anime fans have trouble to figure out the place to free download anime songs or soundtracks, according to the forum feedback. Beyond the above professional anime music downloader, there are some online sites offering Japanese anime music/OST mp3 for free download. Below we pick some relative safe and stable famous sites. To download Japanese anime music, mp3, songs, OST from those anime songs free download sites is very easy. Just feel free to input the name of the anime songs you want to download in the search box and click search. Then songs will appear if they are available on those sites. Generally, those anime sites offer tons of songs, soundtracks, music from Japanese anime series/movies with full length, remixes etc. The only thing need is an account registered with your email. Note first that those sites may be far behind in loading the recent release, and you are unlikely to get the latest Japanese anime songs download with those sites. Another way to fre download anime songs, OST, op/ed, music or video/series/movies etc is to rely on the various torrent sites. 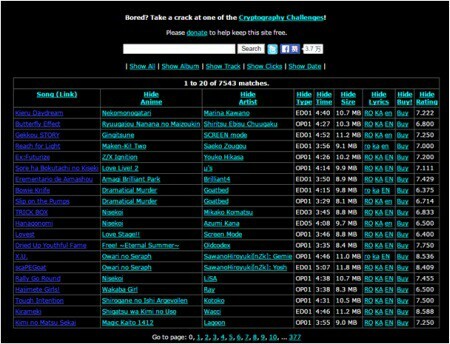 In fact, most of the popular torrents sites have their contents listed by categories, and anime music is always one of them. Users looking for the places to download anime theme songs can also try the torrent sties like Kickass, Torrentz, TorrentHound etc, and they may get the Japanese anime music download MP3 in very good quality like 320kbps, 256kbps more. Note also that those sites are not stable. For example, the famous anime download site KissAnime is down due to DMCA and almost all videos on KissAnime were deleted. Users have to seek for KissAnime alternative when they want to enjoy anime for free. Really frustrating. The last method to anime soundtrack download is various specific fansties. If you're looking for a piece of music from certain anime (naruto, OP, Attack on Titan etc) that is not available on other sites, go to the fans' sites to take your chance, you may find some anime music that you can't find anywhere else.